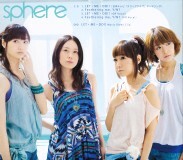 This CD+DVD package contains the opening song to Sphere's TV show Sphere Club (スフィアクラブ). 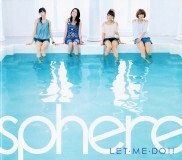 This is the eighth single by Sphere (スフィア). Songs by the seiyuu group Sphere (スフィア), made up of Kotobuki Minako (寿美菜子), Takagaki Ayahi (高垣彩陽), Tomatsu Haruka (戸松遥), Toyosaki Aki (豊崎愛生). The DVD contains a promo video of "Let Me Do!"